I AM SO EXCITED ABOUT THIS POST!! If you’ve been reading the blog for a little while, you may recall how much I loved T.M. Goeglein’s debut novel, Cold Fury. Well, today I am happy to share a super special, two-for-one cover reveal…Cold Fury’s cover has been redesigned, as well as the second installment in the Cold Fury trilogy…Flicker & Burn! 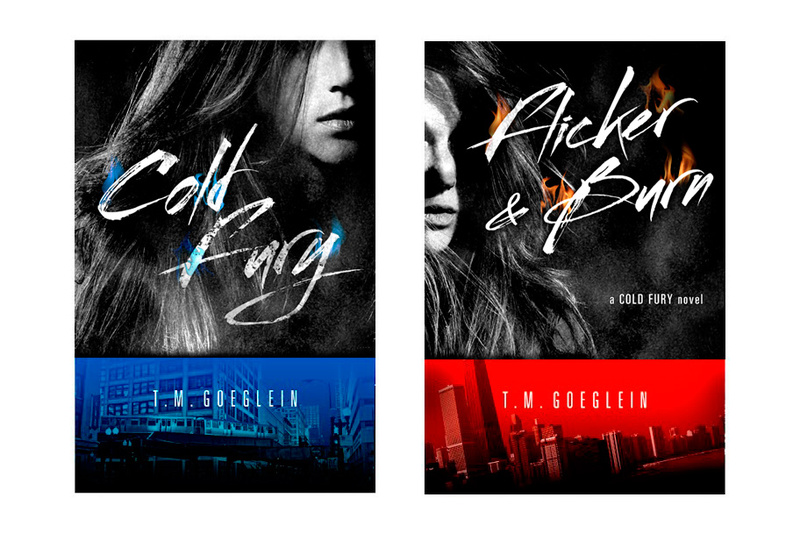 Cold Fury in paperback will be released in June 2013…and Flicker & Burn comes roaring onto the scene in August 2013! AND HERE ARE THE NEW ONES! Don’t they give the books a hotter, more big city feel? The thrill ride that began in Cold Fury kicks into high gear in Flicker & Burn, as the threats to Sara Jane Rispoli come at her from all directions. She continues the desperate search for her missing family, but this time she’s on the run from creepy beings with red, pulsing eyes and ghostly white skin chasing her through the streets of Chicago in black ice cream trucks – they can only be described as Ice Cream Creatures. They’re skeletal and ferocious, hell-bent on catching or killing her, but also a weird link to her family, a clue to where they might be and who has them. While Sara Jane battles these new pursuers, she learns painful lessons about the phenomenon that possesses her, cold fury. At the same time, she’s uncovering buried secrets about the misdeeds of her family – old murders and blood vendettas – that might be connected to the disappearance of her mom, dad, and brother. The mysteries, violence, and constant state of chasing or being chased could be the undoing of her relationship with handsome Max Kissberg. Despite the love growing between them, Sara Jane can’t tell him the truth about her life, and fears for his safety. Not only do the Ice Cream Creatures display the grisly amputated finger of her mom to prove their viciousness, and not only does Lucky, the Outfit Boss of Bosses, whistle in Sara Jane for a sit-down with deadly consequences, but her gorgeous cousin, Heather Richards, enters the scene, as well. All that matters to Sara Jane is saving her family and keeping everyone she loves alive and safe. But the forces she encounters, both external and the ones crackling inside of her, fight her every step of the way. Now’s your chance…enter to win an ARC of Flicker & Burn as soon as it’s available (US ONLY)! 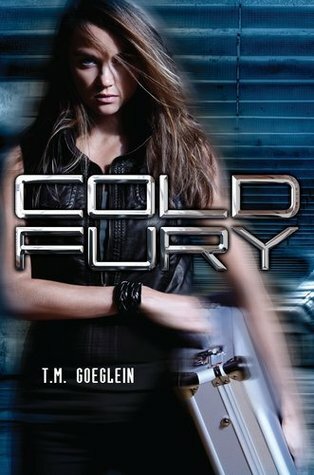 Leave a comment on this post saying what you thought of Cold Fury, or why you’d love to read it. A winner will be chosen on December 17. Posted on December 12, 2012, in books, cover reveal, free, Giveaway, reading. Bookmark the permalink. 4 Comments. Ooops – you probably need my email! Ice Cream Creatures, seriously! I love the sound of these creatures and can’t wait to read about them! I would love to read Cold Fury because I’m always looking or a new series. Thanks!